Alebrije Mexican Restaurant is moving its Wyomissing location into the former Ciabatta restaurant. The sign was recently erected in front of the new location, which is just west of the current State Hill Road location. 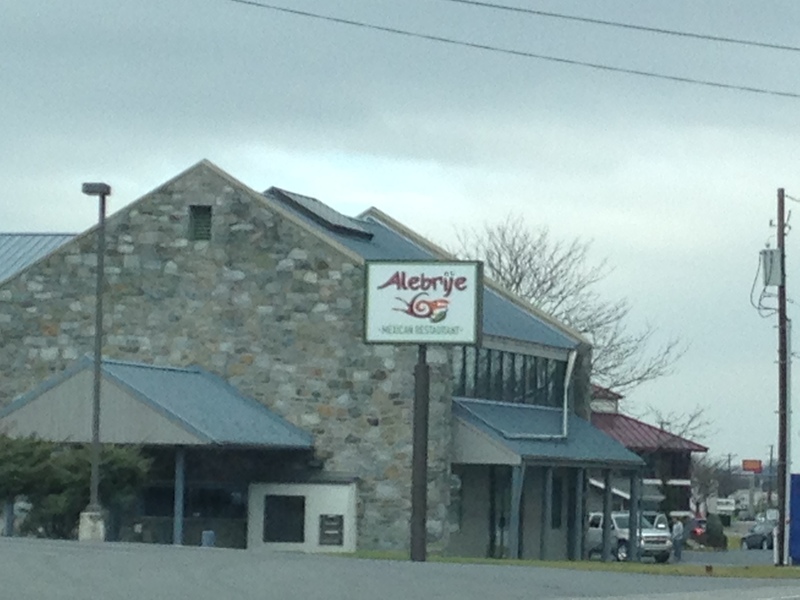 Alebrije also has locations on the 5th Street Highway and on Perkiomen Boulevard. Ciabatta closed this summer after eight years in business. The Black Dog Cafe has reopened its doors under new ownership after going dark for four months. According to an article in the December 12 Reading Eagle, the cafe officially reopened on December 11. It is now owned and operated by the same family that owns Johnny & Hon’s Smokehaus in Robesonia and Johnny & Hon’s Grill on Kutztown Road. Black Dog Cafe was one of two shuttered restaurants in Stouchsburg. Risser’s Family Restaurant also closed its doors earlier this year. A realtor sign outside that restaurant says a sale is pending. The Van Reed Inn announced on Facebook that it is officially opening today, December 16. The restaurant is opening in the home of the former Milan’s Van Reed Inn along Bernville Road (Route 183) north of the Route 222 interchange. Renovations to the building have been ongoing since September in anticipation of the opening. Funny you should mention the Black Dog. I was just thinking about it!